Flyers about 'Jewish privilege' posted after university Hillel cancels speech by Israeli Deputy FM. 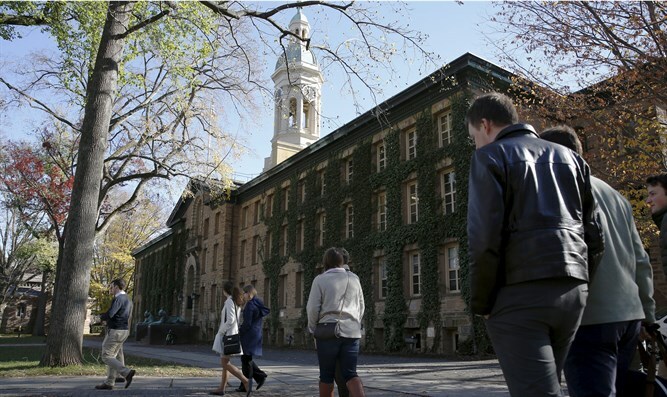 JTA - White supremacist flyers were posted on the Princeton University campus. The flyers were discovered Monday at several locations on campus, the Daily Princetonian student newspaper reported. The flyer was addressed to a person named Linda Oppenheim, whom the student newspaper identified as a Princeton local who leads educational programs on intersectionality in the Jewish community. The flyers were posted less than a month after controversy over the appearance of Israel’s deputy foreign minister, Tzipi Hotovely, on campus. In April, fliers with anti-Semitic, racist and anti-immigrant messages were posted in at least four areas of the campus, including on the door to the main entrance of the campus Center for Jewish Life.